The Digby Area Fishermen’s Memorial offers our community a place to remember and honor Digby Area fishers who were lost at sea. The memorial will stand as a lasting tribute for many generations to come. 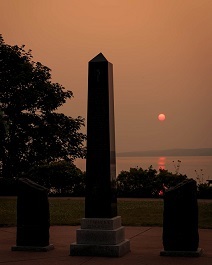 If you would like to honor a fisher at the memorial site contact the Town of Digby at 902-245-4769 or download the Digby Area Fishermen’s Memorial form (265 KB) - the cost of having a name inscribed on to the memorial is $150.00 per name. A memorial service will be held on the third Sunday in September at 2:00 PM at the Fishermen’s Park on Maiden Lane.